Well, I am here for the first session kick-off at The Market Research Event in Las Vegas. What a great first session to blog about: Facebook. Meg Sloan, research lead at Facebook and Brant Cruz of Chadwick Martin Bailey shared a little glimpse of what life inside Facebook is like. Supporting each other/sharing information/work etc. And last but not least: Ruthless Prioritization as well as Have Fun and create an awesome workplace. Their Q3 planning meeting involved pedicures--sign me up! Step right up folks! 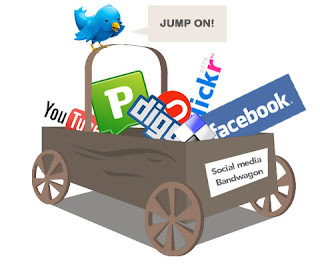 It’s the social media bandwagon. I’m on it, you’re on it, and with the recent study from Anderson Analytics, marketers better be on it. At this point in the game, most marketers are, but this study reveals some interesting findings on what your preferred social network says about you. Apparently, I’m all about the business or the benjamins, because I prefer LinkedIn over other social networking sites. I’m also more likely to own top of the line electronic gadgets, like HD televisions, blu ray players and digital cameras. The study found 60% of Americans are social network users, but the study defined a user as someone who had uses a social network at least once a month. The average user collectively spends about an hour each day on social networking sites. 52% of social networkers had friended or become a fan of at least one brand on Facebook. Getting individual endorsements on Facebook can be a HUGE marketing accomplishment, because when someone becomes a fan of a brand on Facebook, he or she is saying “Brand X is apart of who I am and I want everyone to know about it.” The brand has not only produced brand loyalty in said-user, but that brand is also reaping the benefits of word-of-mouth advertising. When asked their feelings on seeing a brand on a social network, 17% felt positive and 19% said negative. When asked if they want more communication from brands 20% said yes. I think this percentage would be higher if it’s the right kind of communication. If brands communicate the message their target consumers want to hear and in a way they want to hear it, then they will want to hear from the brand. Social media users are four times more vocal than non-users online, such as commenting on discussion boards, forums, blogs, etc., which means they would be more likely to be vocal about announcing on the World Wide Web their feelings, both positive and negative, about a brand experience. Out of the four user groups defined by the study, Anderson said social media mavens are the key group for marketers not only because of their high incomes and decision making power, but also their large social media footprints can make them excellent brand allies or evangelists. Users preferring Twitter are big into pop culture.. movies, music, TV and reading and their buying habits mirror that. They are more likely to buy movies, books, shoes and cosmetics online than other network users. So marketers, take the hint and get on Twitter. LinkedIn users have the highest income averaging at $89,000, and they are also more interested in high-tech gadgets, as well as the gym, yoga, spa treatments, golf and tennis. Hello luxury and travel brand marketers. I’d love to hear others take on these findings listed in more detail on Advertising Age. Well, Oprah is officially on Twitter and in a matter of days, Twitter saw a 43% jump in new users. On April 17, the day of Oprah's first Tweet, her amount of followers went from 54,864 to an astounding 215,961...this all happened in less than 24 hours people! So now be prepared for a whole new demographic to join Twitter: the busy mom that every brand competes for. We're about to see an explosion of Twittermoms. The busy stay-at-home mom is the largest portion of her following, usually watching the afternoon talk show, while doing laundry, making her grocery list or preparing dinner. We all know that the busy mom is what most brands market to, because they make the majority of purchasing decisions in the household. They listen and it's proved they act, time and time again. She's launched the career of Dr. Phil, practically turned the famous book, The Secret, into it's own religion and some speculate that Oprah's endorsement of President Obama produce approximately 1,000,000 additional votes. So if you thought that Oprah's influence might start to decrease, think again, as the increase in Twitter has proved that Oprah's voice still has just as much clout as it ever did. 1. It's a Learning Tool. The mother ship of Twitter research is Twitter Search, where over 3 million messages are posted a day. It works much like a google search engine, except picks up peoples Tweets. This will allow you to see what people are saying about a particular brand or product. For example, if you want to see what people are saying about M&Ms, you can search the word, M&Ms, and it will pull up everyone who has twittered about M&Ms in realtime. And if a brand wants to get really brave, they can do like Skittles, and integrate the brand's twitter stream into their Website or blog. 2. Gives Professional Credibility. Although Twitter has been around for a few years now, it has yet to become a marketing norm, and people that are successfully using Twitter are still considered ahead of the curve. With Twitter, you can post interesting articles or videos that you find on the Internet, and the better your posts, the more relative followers you get. And the more relative followers you get, the more credible you become. 3. It creates Exposure. Twitter allows people from all over to see you, what you're doing, what you're into and what you're twittering about. It's an opportunity to get a message out to the masses to promote yourself and your business; whether it's a brand or a service. 4. A Chance to Connect to your Consumer. Not only does Twitter let you view what your consumers are into, but it can take customer service to another level, allowing you to personally connect with the consumer. For example, the other night my friend, Holly, was at a Mexican restaurant, where they give all the customers numbered tokens for a chance to win free queso dip on the "Wheel of Taco". Holly's token won, and she twittered about it. Then she immediately gets a message on Twitter from Eric Michaelson, the owner of the large restaurant group, congratulating her for winning on the "Wheel of Taco". 5. It's all about networking, networking, networking! We all know that in this biz, it's all about who you know, making those connections and being the first to know about the next big thing. 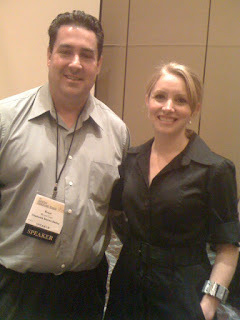 Twitter is yet another way to network with other marketing professionals from across the globe. You can participate in online discussions with other professionals. You can see on Twitter Search live updates of the trendiest discussion topics at the moment and join the conversation if you'd like. Topics always have the "#" sign, like #markettrends, and you must use that in all your tweets for it to show up in the Twitter stream. It's like modern day chat room, but it's Twitter. I'll admit, I've been slow to jump on the Twitter bandwagon, and am still learning the ins and outs, and the more I learn, the more I see what a valuable and essential tool it is becoming for marketing. And the more I learn, the more I'll share...so follow me on Twitter at twitter.com/aprilbell. Facebook...you either love it, hate it or hate to love it. But either way, it's become the way to connect with people...people from your past and your present...even people you meet that you thought you would never see again. Facebook is about to double in size in less than eight months, as it approaches it's 200 million Facebook user, but it also has another social media network on it's heels called Twitter. Both networks allow you to connect with people all over, but Facebook is more of an online profile, and a place where you can connect with old friends and new friends. You can see what how life has treated your old high school sweetheart or make sure that guy or girl you met out is not psycho. Twitter's tagline is "what are you doing", but once people become twitter pros, they rarely update with "what they are doing". It's more about posting funny, witty quotes or informing people of the latest product, music or movie that they're into. It's almost like an online conversation..users can ask a question and get an instantaneous response from their followersTwitter's also is almost like an online conversation happening with your followers.